• A comprehensive view of the city, from top sights to hidden Palaces. 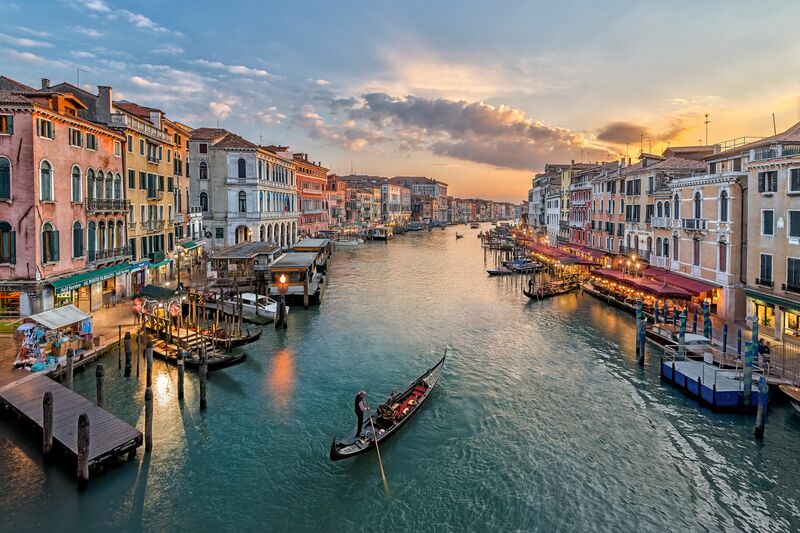 • A 30-minute Gondola ride through quiet and atmospheric canals. • Skip long lines at St. Marks Basilica for a guided tour. Venice Walking Tour and Gondola ride take you to the heart of Venice in 3 hours. Tour gives you a broad view of history, character and culture of the city. Firstly, you will start by the Rialto Bridge if you led by an expert local guide. The structure of Rialto Bridge was considered so audacious that critics at the time predicted it would fall, but it’s still standing after 420 years later. Next is Rialto Fish Market where you will hear about the city’s fishermen before changing the beaten path into Cannaregio. Cannaregio is one of the loveliest areas of Venice. The atmosphere of Venice is best experienced on a walking tour of its canals and streets, but there are some amazing sights that you can’t miss at the Venice Walking Tour. St. Mark’s Basilica is top of this list. At St. Mark’s Basilica you will get to learn that how the relics of St. Mark arrived here by doubting means, adore its gold mosaics and understand why the Church’s east-meets-west architecture is a perfect representation of the City. 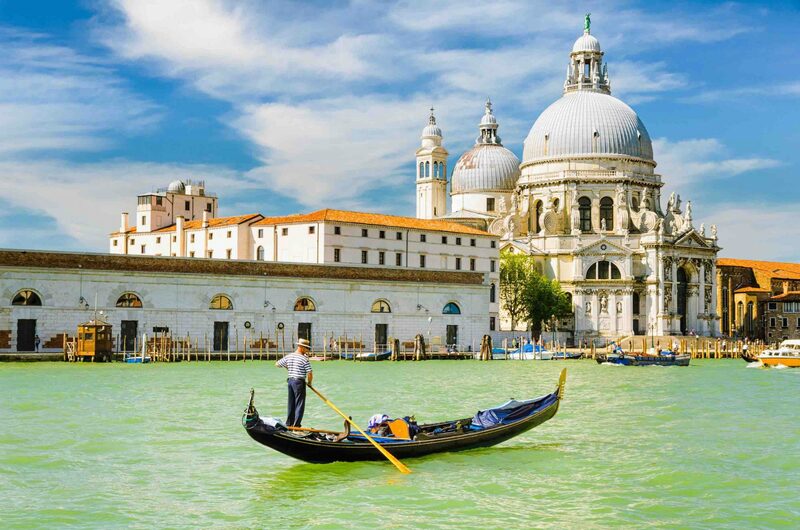 At the end of the tour, your guide will leave you in the expert hands of a professional gondolier. Climb onboard for a half-hour excursion through the city’s canals. You can enjoy exploring the city from the water. Maximum group size on the boat is 6, so you can enjoy, relax and unwind Venice at its best. Venice Gondola tour usually costs €80.